​​​​​​​​​​ABILENE – Ground has been broken for the 35,000-sf Hardin-Simmons University (HSU) Fitness Center. ​Construction will begin in the coming weeks beginning with the demolition of the old tennis courts. 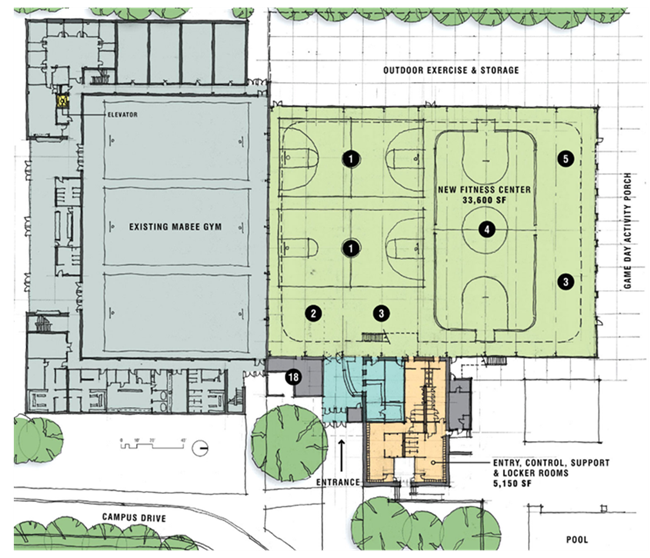 The Fitness Center will include new cardio and strength training areas, multi-sport courts, outdoor training areas, conference rooms, and locker rooms. Other features include a turf multi-use athletics court and an outdoor gathering pavilion. The $7 million budget for the project was allocated from a $25 million bond secured with support of the City of Abilene. HSU will also be using money from the bond to help support the upcoming construction of new campus apartments. Check out KTXS-TV​. Also see Abilene Market Overview Research. ​Also check out Hardin-Simmons University​.